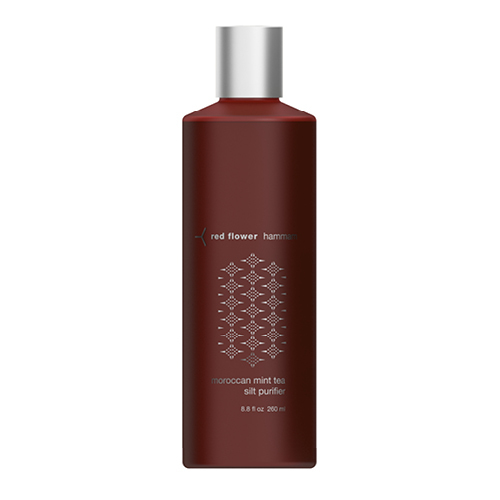 The Red Flower Moroccan Mint Tea Silt Purifier is a unisex body wash that offers a refreshing and uplifting feel as it cleans. You’ll receive a revitalized sensation to both your body and soul when your shower is turned into a sensory steam bath. Moroccan mint stimulates the senses for a feeling of luxury in your shower experience. Mineral clay and silt give the skin a soft, detoxified feel. This cleanser also works in place of a shaving cream or oil. Use a quarter size of this wash on a cleansing cloth or brush, or directly on the skin to cleanse when showering. Apply liberally to the body in place of a shaving cream or oil. For a feeling of boosted circulation and awakening, finish your shower with a blast of cold water.